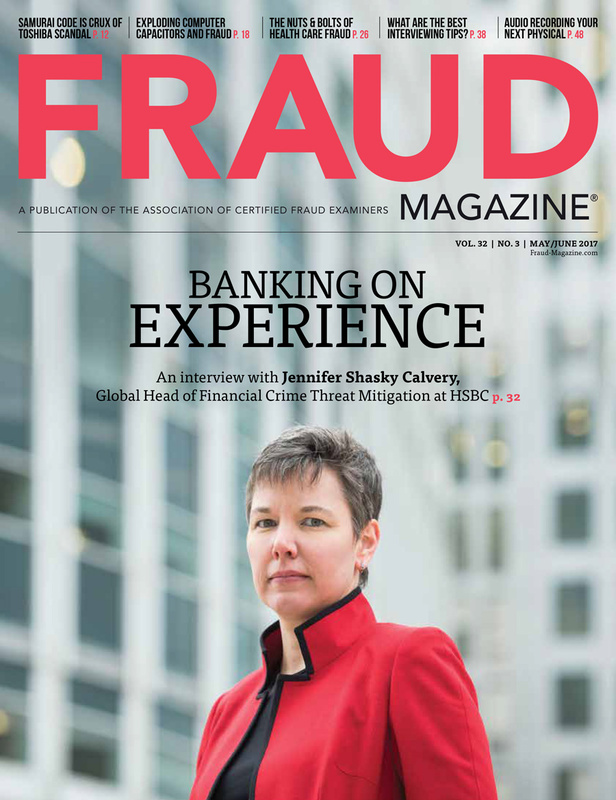 When the ACFE talks about its members fighting fraud in the trenches, Jim Ratley, CFE, has been a soldier in the war from the beginning. He talks about that porch conversation, things to do Monday morning and helping create a profession. If Jim Ratley hadn’t cleaned out his bulging wallet in 1985, the history of the ACFE would have been quite different. Ratley, then a police officer in the internal affairs division of the Dallas Police Department, occasionally would be pulled out to manage fraud cases. 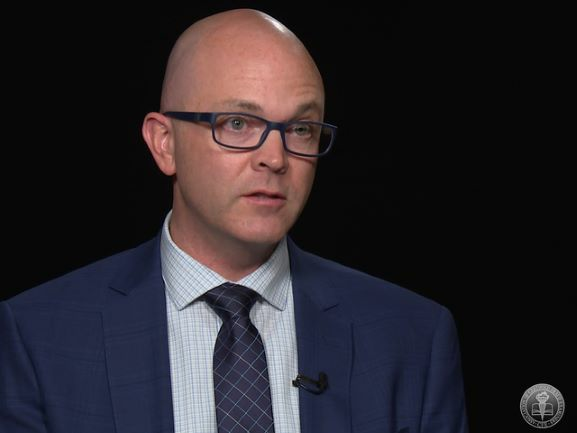 He liked the work, so he was intrigued when he read an article about someone named Joe Wells, who owned a financial investigative firm in Austin. He cut out the article, folded it, stuck it in his wallet and forgot about it. “About three months later, my wallet had gotten cumbersomely thick so I went to clean it out, and I saw the article,” Ratley says. He called Wells, traveled to Austin on a Saturday, and they met. “My main question was, ‘Can you really make a living doing this?’ ” Ratley says. “There was little emphasis on investigating fraud back then.” After several more meetings, Ratley eventually accepted Wells’ offer to be an investigator with Wells and Associates. 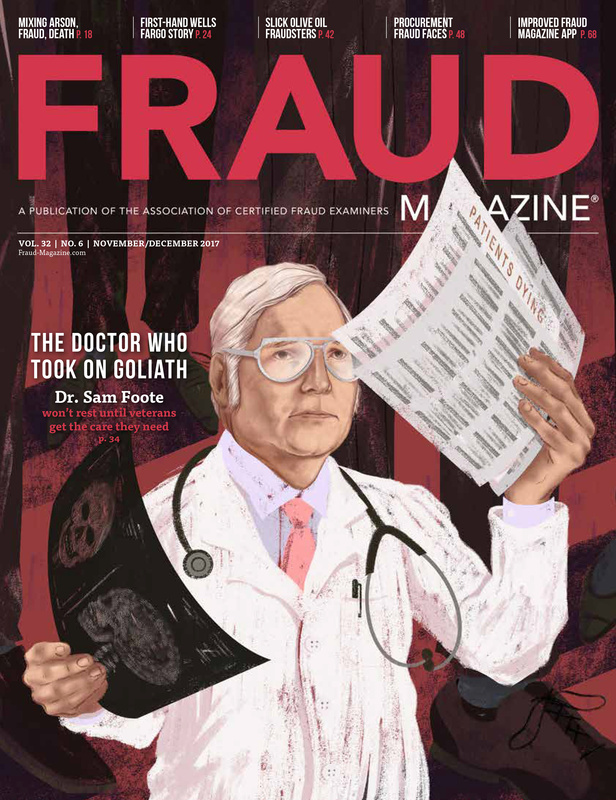 The year before, Wells — seeking to learn more about anti-fraud principles — traveled to California to meet renowned white-collar criminologist Donald R. Cressey, Ph.D. (the creator of the Fraud Triangle), then the chair of the sociology department and eventual graduate dean at the University of California at Santa Barbara. They became fast friends. 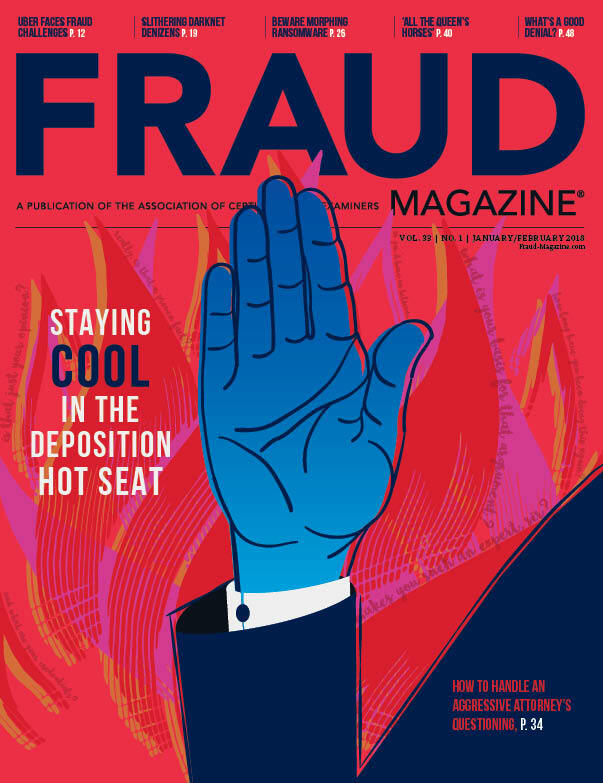 During conversations, they agreed that fraud perpetrators were becoming too sophisticated for the average law enforcement officer, investigator, lawyer, auditor or accountant. Someone needed to establish a new profession that would combine the best skills of all these occupations to match complicated white-collar, waste and abuse schemes. About the same time Ratley signed on, Wells and Cressey began The Institute for Financial Crime Prevention to study white-collar crime prevention and provide education for business and government. In 1986, Wells was teaching a course with W. Steve Albrecht, Ph.D., CFE, CPA (who would become the ACFE’s first president). 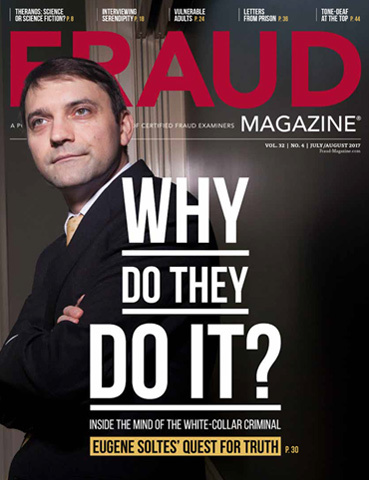 They later talked about what a new “corporate cop” would need to fight fraud, and the idea for the Certified Fraud Examiner credential began to form in Wells’ mind. 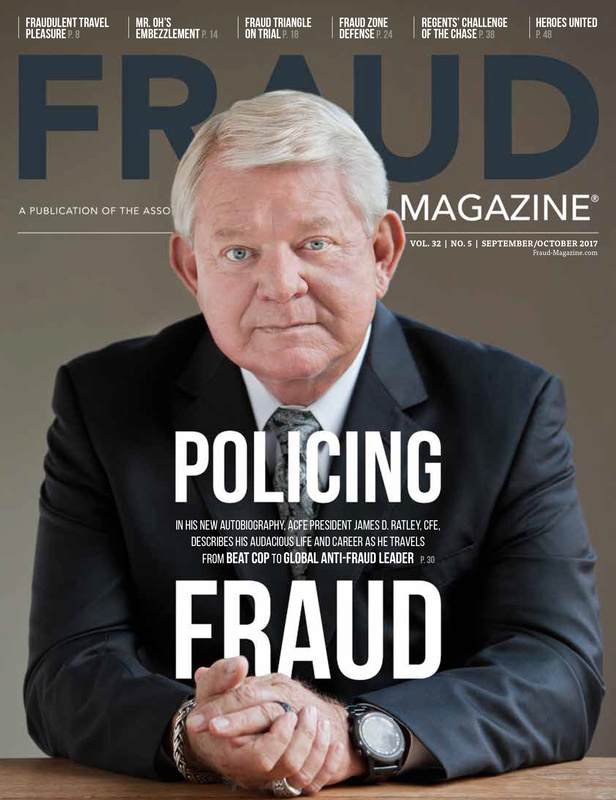 Fraud Magazine spoke to Ratley in his office at the ACFE’s Global Headquarters in Austin, Texas. FM: Can you talk a bit about the very early days of the ACFE? JR: One morning, a little while after we talked on the porch, I came into Joe’s office and said, ‘The idea you had for this CFE credential has been on the shelf long enough. We need to move on that.’ So I went up with a ruler and yellow legal pad and drew up the first CFE application. I took my yellow legal pad to a printing company. We did a test mailing of 400 pieces. We sent it to 200 investigators and 200 auditors. Shortly after, one Sunday morning at around 5 o’clock — then as now, Joe would get into the office very early — he excitedly called me to tell me that we got 16 applications. After that, they seemed to never stop. 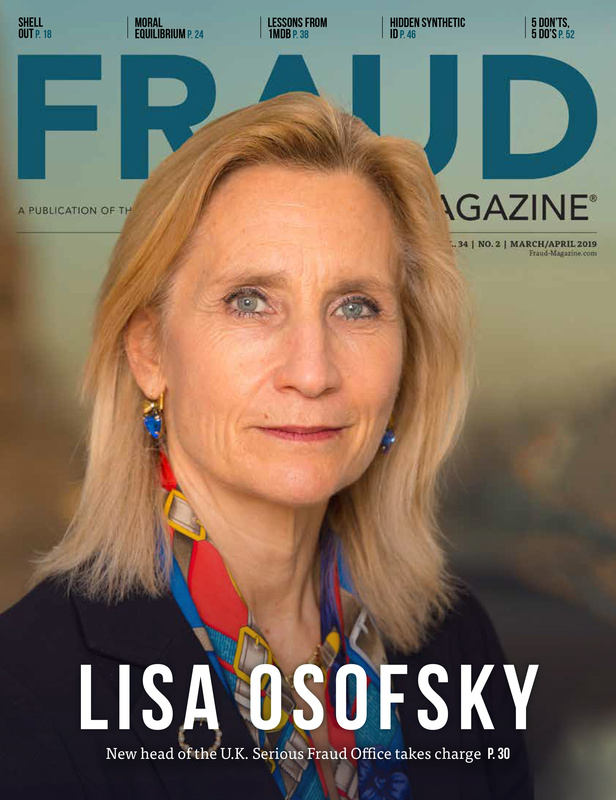 Soon we formally announced the program, and the National Association of Certified Fraud Examiners formed in June of 1988 with an interim board of regents. At that time, Joe, Kathy Lawrence — Kathy Elmer back then — a longtime colleague of Joe's at the FBI, and I were the three main forces. We had a staff of six. Joe was the master of the plan, but I was the front person. I was the one who talked with most of the people who called in with questions. About three weeks after we started the program, I averaged out to 103 calls a day. It was just overwhelming success. FM: What were some of the ACFE’s policies you first devised? JR: We set forth some basic policies that are still in effect today. First, everything we did would be professional, top of the line and geared to professionals. Second, we decided that this was going to be an association that catered to the membership. Our member services department staffers can handle problems when members call. They don’t just transfer members to voicemail. Third policy — anybody who spends a nickel with us, if they aren’t 100 percent satisfied they’re guaranteed to receive a complete refund. When someone calls with a complaint, and we’re wrong, we admit our error. We don’t always have to be right, but we always have to be there and let them talk to us. When someone points out our flaws, we’ll work to fix them. 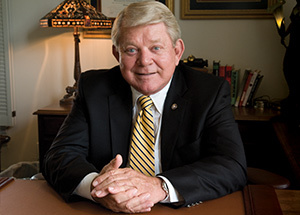 FM: Why has the ACFE succeeded and prospered? JR: I think one of the major reasons is that Joe and I at that time had never been active members of any type of association, so we didn’t know how they did things. But we also weren’t tainted by the ways other people were running their groups and presenting their seminars. We went back to what we decided on the first day on the porch. Again, everything was going to be done for professionals and conducted in a professional manner. We’re not looking for those who will be just satisfied with the training; we’re looking for those who say this is the best training they’ve ever been to, and these are the best anti-fraud products they’ve ever purchased. I think the other reason we’ve prospered is because we’ve always had the common sense to listen to our members and let them tell us what they want. We have the ACFE Advisory Committee. We routinely send its members courses that we’ve written and ask them to review them. We also send them questionnaires to ask them what we can do to be better for them.